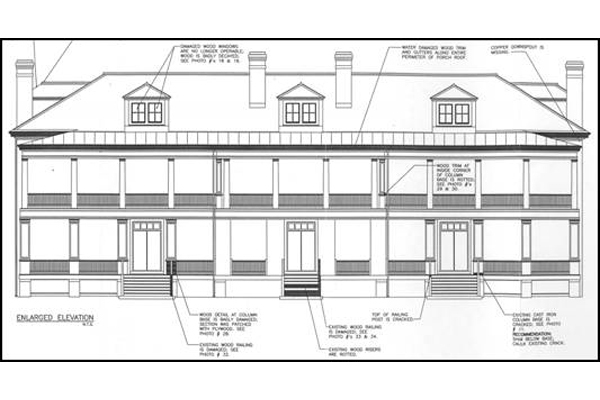 The U.S. Coast Guard retained EI Associates to provide an assessment of and design historically accurate renovations to the exterior of their Bachelor Officers’ Quarters, Building 409 and a 2 ½ story Colonial Revival style residence constructed in the early 1900’s. 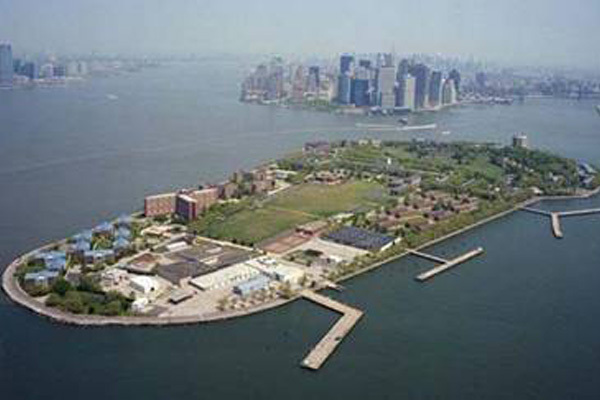 Building 409, located within the Governors Island Historic District, is a category two property (a contributing resource within the National Historic Landmark and the NYC LPC Governors Island Historic District). 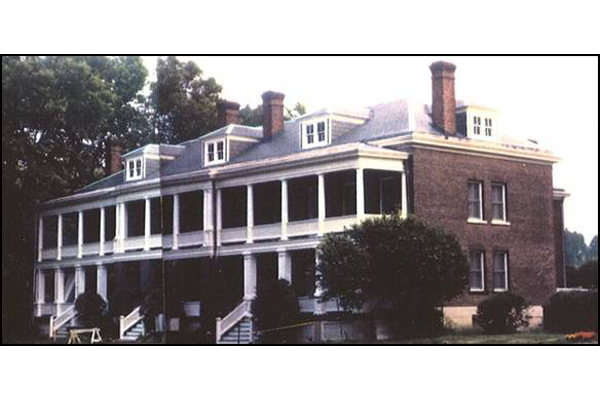 Restoration work comprised the restoration of the exterior porch, wood trim, columns, windows and slate roofing. 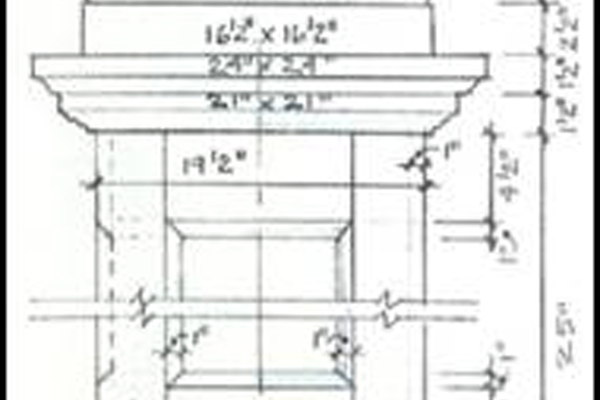 Detailed field information was obtained to prepare accurate profiles of existing trim and moldings. © EI Associates. All Rights Reserved.